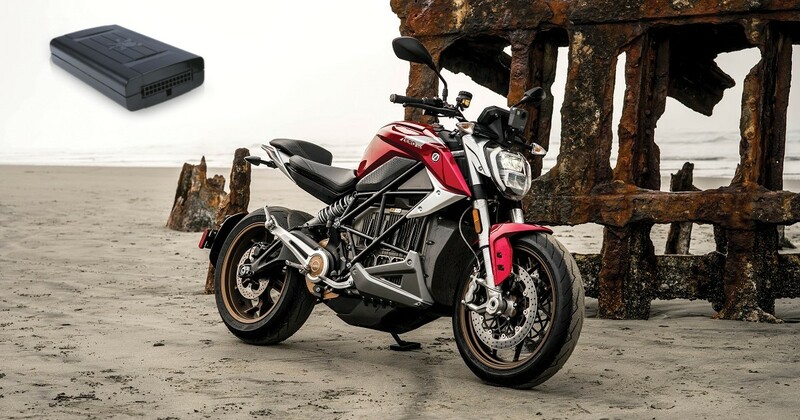 On February 25th, 2019, Zero Motorcycles announced a new revolution in the motorcycle market, the first-ever IoT based commercially available connected motorcycle. In two simultaneous exhibits, in Amsterdam and in New York, the new one-of-a-kind Zero SR/F was presented to the world, with raved responses. But what lies behind the curtain of this amazing and unique product? Well, what was described as the “Effortless Connection” of this extraordinary motorcycle, took 10 months of creative and pioneering development to create. This development was a result of the cooperative efforts of Starcom Systems and Zero Motorcycles. Yes, that’s right. Starcom’s IoT solution was utilized in the SR/F’s ground-breaking Cypher III operation system. Our Helios monitoring system was specialized and customized for Zero to fit their purpose and is incorporated into each motorcycle during its production. Starcom Systems provided the SR/F with its cellular connectivity which for the first time ever, gives the rider the ability to monitor the bike in four main areas: Bike Status and Alerts, Charging, Ride Data Sharing, and System Upgrades and Updates. Bike Status and Alerts: Charge interruptions, tip-over or unexpected motion notifications, and the “Find my Bike” function, which allows riders to keep tabs on the motorcycle at all times. Charging: Remotely setting charging parameters, including Targeted Charge Levels, notification of State of Charge (SoC), Charge Time Scheduling and Charge Tracking. These notifications allow riders to control all aspects of charging and to monitor charge status even when away from the motorcycle. Ride Data Sharing: Riders can gather, relive and share extensive data about their ride through the app. Through ride data recording, riders can replay each ride and also choose to upload additional content to record and share their full experience. Riders also have the option to keep such data anonymous. System Upgrades and Updates: Remote downloading of the latest updates to ensure optimal performance and provide access to feature improvements. Our cooperation with Zero is on-going, as they will purchase the Helios units as part of the SR/F’s production process under an OEM agreement. As part of the agreement, Starcom Online will also be provided as an Online SaaS, showing yet again how Starcom’s technology can be adapted for use in many new sectors. The incorporation of Starcom’s IoT technology within the amazing SR/F motorcycle will open more doors for us in the new market of communications to vehicles. Contact us today at [email protected] to get more details on how our technology can produce a smarter and unique vehicle with great competitive advantages.